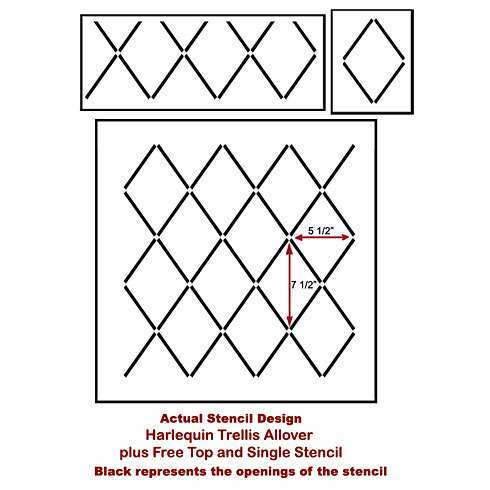 Laura browsed our website and selected the Harlequin Trellis Stencil. This geometric stencil is based on the classic Harlequin pattern with a trellis twist. With her stencil in hand, she was ready to start stenciling! Laura used blue painter’s tape to hold the Harlequin Trellis pattern in place. The walls were already painted a cool gray hue. Laura painted the pattern in white using a dense foam roller. 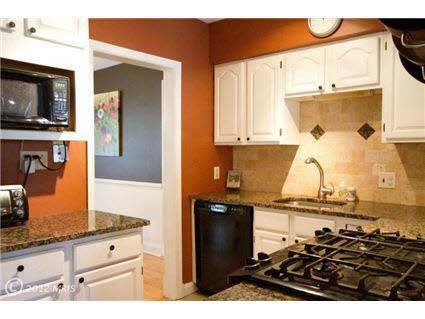 If you are recreating this project at home, be sure to roll off any excess paint to eliminate bleed. After each section of the stencil is complete, simply untape it and reposition to finish the pattern on the wall. For more information on how to stencil, please check out our stencil tutorials. Let’s get to the fun reveal. 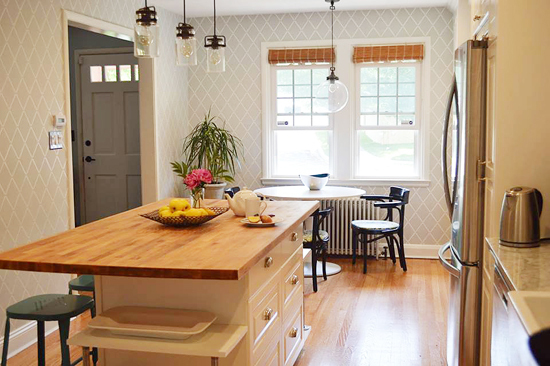 Are you ready to see how her stenciled breakfast nook/kitchen turned out? Here it is! 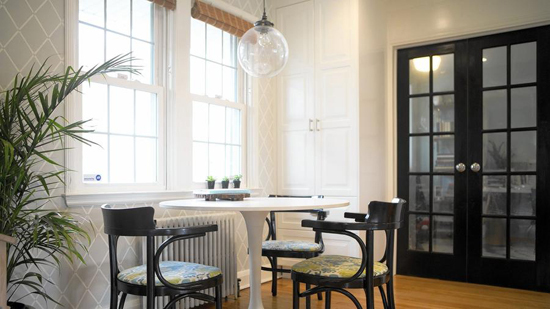 Laura used the classic wall pattern to add style to her breakfast nook. 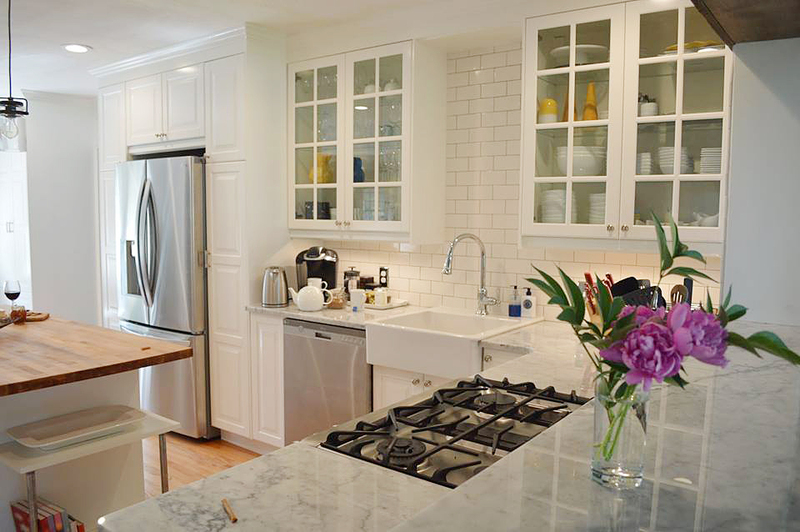 She carried the pattern through the kitchen on the blank wall on the left. 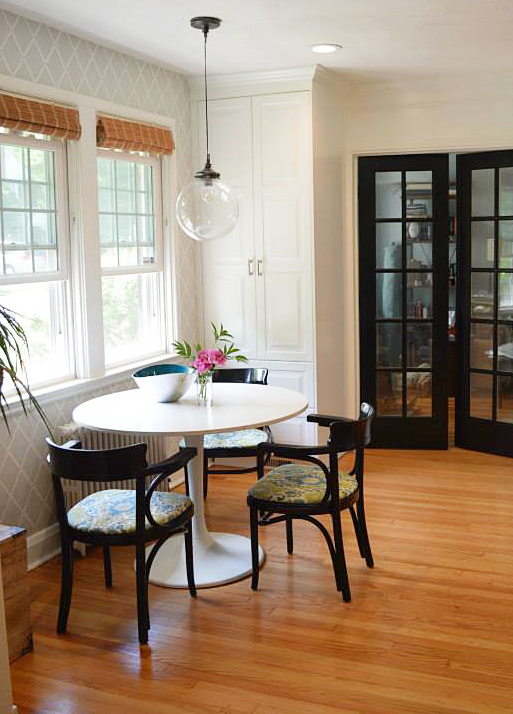 To see more amazing room designs by Laura, be sure to visit Laura Hodges Studio. 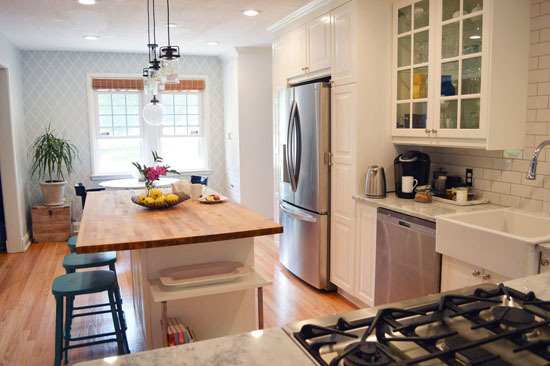 Tell us, what stencil pattern would you use in your eat-in-kitchen? Leave us your thoughts in the comments below! Shop our stencils for sale and glam up your space!